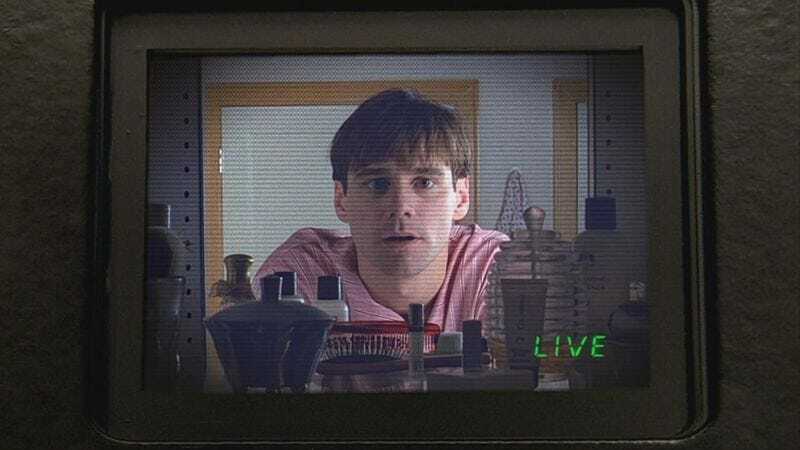 In news released just to see how you will react, Paramount has revealed it’s working on a TV version of The Truman Show, the 1998 hit in which Jim Carrey stars as a man unaware that his entire life is a reality show, much as you are right now. It’s all part of Paramount’s return to television production, which recently kicked off with a show based on the name Ghost, followed by the announcement of another Terminator series, and that Deadline reports will soon continue with TV versions of many other films in the Paramount library, including a Joe Carnahan-directed adaptation of his own crime thriller, Narc. And of course, all are also part of the situations contrived daily to provoke you—into making public endorsements of a beloved brand name, or even into decrying the constant recycling that fuels the modern entertainment industry, your rants about how The Truman Show is a concept that could sustain a limited, 10-episode series at best entertaining millions. Anyway, there’s no official word yet on what this new “re-imagination” of The Truman Show will entail, but presumably it will involve a person who was raised by television slowly realizing they’re just a pawn in a world where nothing is authentic. In other words, you.